Writing content that helps you attract your ideal customers, builds a legion of raving fans, and sells your products or services is about so much more than words. If you’re going to succeed in the digital world, your content has one job. That job? It needs to convert. Period. Content marketing is ultimately about creating trust and driving people to action. It’s about getting them to the next step in engaging with your business, and it’s why you need a content marketing team that knows how to make that happen. We work with small and mid-sized B2B companies to create content that gets results. Scoop’s team of content marketing professionals is led by a Master Level content marketer (yes, that’s a real thing, and there’s only a handful of them in the world) and content creators with experience across multiple industries from tech financial services to real estate. Our approach is to develop content in the sweet spot of personality and practicality so it connects with your audience and converts into action. Plus, we have years of experience in client services, so we go out of our way to make working with us simple and stress-free. and takes you to the next level? Request your consult below so we can figure out if we’re a good fit. Our content marketing services are project or retainer based and 100% customized to your requirements. You know that there’s nothing more compelling than your happy clients and customers sharing their experience with your company. We’re experts in creating compelling, results-focused testimonials and case studies which you can use across your marketing. Best of all, we do it in a way that’s painless for you and your clients. Is your blog neglected? Or you simply can’t keep up with content production? The Scoop team can take over your blog including editorial direction, content research, development and creation, social media updates and more. Or we can work hands-on with your existing team and strategy to fill in the gaps as needed. The Scoop team has years of experience ghostwriting articles for industry thought leaders. We specializing in researching and creating compelling contributed articles for a wide variety of media. Plus, we can help identify, pitch and secure contributed article opportunities for your team. Our signature storytelling and messaging process, The Story Distillery® helps you identify the stories and key messages you need to connect with your audience. This service is perfect for businesses who need clarity on their story for use in across their content marketing programs. Ever gone on a trip without a map? Exactly! That’s why you need a Content Strategy Roadmap before you create any content. 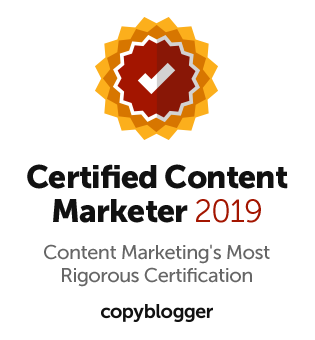 This master plan includes a comprehensive analysis and strategic recommendations on all of your content marketing channels including your website, blog, email marketing, social media and more. Email marketing is one of the most impactful digital marketing channels for any business. Team up with Scoop for your newsletter, employee or other communications by email, the creation of opt-in offers and nurture or sales funnels. Request your consult below so we can figure out if we’re a good fit with your needs. Our content marketing services are project or retainer based and 100% customized to your requirements.